The Ram 1500 is in the thick of a battle among Detroit 3 full-size pickups. As one of the lowest-volume months for new U.S. light-vehicle sales, January is seldom the best barometer of how the year will pan out. But surging interest rates on auto loans and steadily rising vehicle prices make clear that automakers will be hard-pressed to produce sales gains in 2019. The average interest rate on new vehicles rose last month to 6.19 percent — the second highest in 10 years — from 4.99 percent a year ago, according to Edmunds. And Kelley Blue Book said the industry's average transaction price rose 4.2 percent to $37,149. Combined, those factors mean a big jump in the monthly payment for many consumers interested in trading up. The seasonally adjusted, annualized rate of sales dipped to 16.9 million, from 17.22 million in January 2018, its lowest level since August. Last year, automakers sold 17.33 million cars and light trucks in the U.S. Positive economic signs remain, though. The U.S. added 304,000 jobs in January, according to the Department of Labor, easily surpassing economists' expectations. Unemployment was at 4 percent, and fuel prices remained relatively low. The Federal Reserve last week decided not to increase its benchmark interest rate and signaled that it would be patient with additional hikes. Automakers have maintained discipline on incentives, largely electing not to chase additional slivers of market share at the expense of profits. ALG said incentive spending per vehicle in January declined 0.9 percent from a year ago and 3.1 percent from December to $3,642. Sales results among automakers were mixed. 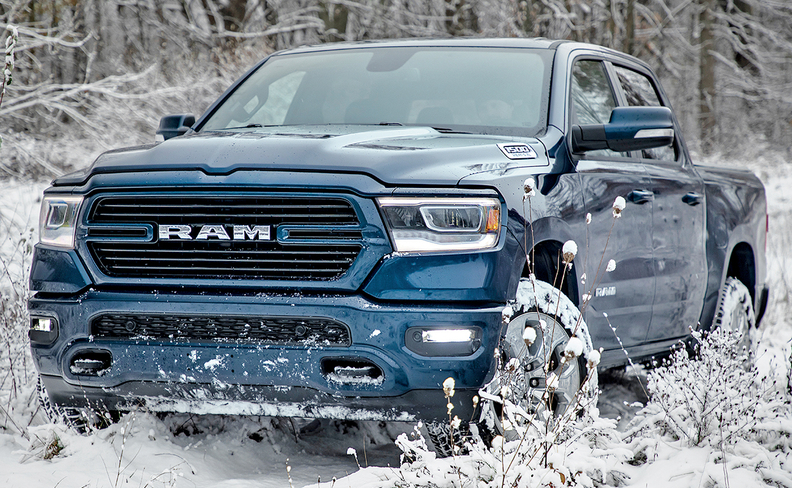 FCA US, which gained a full point of market share in 2018, posted a 2.5 percent increase in January on the back of Ram truck and fleet shipments. Ram sales rose 24 percent, while Jeep, which has been one of the industry's fastest-growing brands, dipped 2.2 percent. FCA said cold weather in the Midwest and Northeast hurt Jeep sales. Ford Motor Co. broke a streak of four monthly declines with a 7.1 percent increase, according to the Automotive News Data Center. GM sales, in contrast, fell an estimated 6.9 percent. Nissan Group's sales dropped 18 percent as it continued to struggle with low demand for cars and with dialing back on low-margin fleet deliveries. Mazda's sales fell 20 percent, with every model off by more than 20 percent except the Mazda6, which was up 4.3 percent. Although Volkswagen Group of America's sales fell 3 percent, car sales for the VW brand rose 7.4 percent for a second consecutive month of growth. Several automakers noted that the government shutdown and record cold in the Midwest and Northeast toward the end of the month reduced showroom traffic. But with the government back in operation — for now, at least — and even as temperatures warm, the rising cost of buying a new vehicle remains one of the biggest concerns for the industry going forward. "Car shoppers who are returning to the market for the first time in a few years could be in for a big shock," Jessica Caldwell, Edmunds' executive director of industry analysis, said in a statement. "Vehicle prices and interest rates are so high right now that consumers are facing the very real possibility of spending thousands of dollars more on a new vehicle than they did last time they purchased a new car."